Students enrolled in Ohio Hi-Point’s welding program built a hovercraft based on their blueprint designs. BELLEFONTAINE – The manufacturing industry is struggling with the steep decline in available talent; over two million of three and a half million jobs nationwide will be left vacant in the coming years, according to Deloitte and The Manufacturing Institute. Industry leaders are looking for solutions, and career technical education is part of that solution. Career centers, like the Ohio Hi-Point Career Center in Bellefontaine, provide hands-on career training for high school students in fields such as welding, engineering, health care, construction, multimedia marketing, electronics and manufacturing. Students have the opportunity to earn industry certifications and college credit while enrolled in the programs. The relevancy of career centers rely on the partnerships forged between education and businesses to engage students in future careers. In Champaign County, the manufacturers council and the city of Urbana Economic Development joined together to create a task force focused on identifying current and future workforce needs and educating the public about the manufacturing industry and how it affects the community. Over 3,000 people are working in manufacturing careers in Champaign County. Recent data collected by the task force indicates 51.5 percent of manufacturing workers in Champaign County are between the ages of 45 and 64, while only five percent of workers are between 19 and 24 years old. As this increase in manufacturing positions continues, it will be difficult to find new workers with the needed skills. These stereotypes are not true of today’s manufacturing needs. 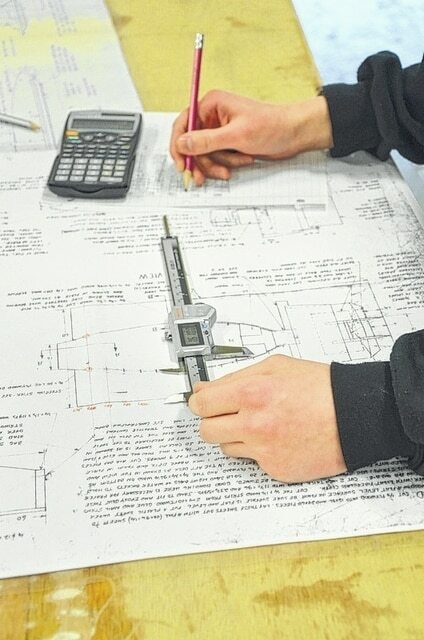 According to local manufacturers, the most needed traits are technology and computer skills, critical-thinking skills, technical training, math skills, accountability and work ethic. All are required to operate and maintain high-end robotics and machines, which must be maintained in a safe and spotless environment. Manufacturers are constantly looking to hire welders, machinists, engineers, maintenance technicians and electricians with those skills. For the past three years, local manufacturers and Economic Development hosted a Manufacturing Day with Ohio Hi-Point Career Center and Champaign County schools. Manufacturing Days allowed students to tour several facilities and see the equipment used and products produced. The initiatives, while educational, weren’t enough to close the skills gap. Additional collaboration was needed to address the manufacturing needs. Ohio Hi-Point Career Center heard the needs of the industry and joined the partnership to implement satellite programs at Triad Middle School and Triad High School for the 2016-17 school year. “Manufacturers need skilled workers right now, and we’re answering the call,” stated Debbie Wortman, Ohio Hi-Point Career Center Satellite director. In addition to Ohio Hi-Point’s electronics engineering and welding programs on main campus, the career center is implementing manufacturing programs at Triad Middle School and Triad High School in Champaign County as well as Bellefontaine High School in Logan County and Kenton Middle School and Kenton High School in Hardin County for the 2016-17 school year. The manufacturing programs are not funded through state grants; therefore, the initial start-up costs are absorbed through Ohio Hi-Point’s general fund money. “Ohio Hi-Point has a limited budget, so we will be phasing in the courses in the next few years; however, we will make sure the necessary equipment is ready for the students in the fall,” said Wortman. Enrollment in the new Triad programs look strong, with over 40 students enrolled in both the middle school and high school programs. Classes for the manufacturing program can include MIG and TIG welding, machine operations, robotics, blueprint reading and many more as the program phases additional classes into the course. “Collaboration is about the kids”, Piper said. “We’re working on doing a better job of educating kids not only on academic content, but also on real life opportunities. This is an educational piece that joins those two together. “Through this partnership I’ve learned the needs of the community. We have people looking for work, but lacking the skills, and here’s a way to close that gap in the near future,” said Piper. The manufacturers will be advisory members for the programs, providing guidance by fusing the industry knowledge and skills required into the curriculum and equipment selection for each program lab. The first step in the collaboration between industry and schools is connecting with parents and students. Several manufacturers also expressed an interest in hosting parent tours in the facilities to help spark discussions about manufacturing careers. Steven Brandeberry of Johnson Welded Products stressed the importance of taking advantage of the manufacturing programs in the middle school and high school. In the same data collected by the task force, the average manufacturing worker earned nearly $66,000 in 2014. The goals for the partnership between Triad Manufacturing Programs and the manufacturers include career days, externships, study trips, work-study opportunities and internships to students. In August, Champaign County manufacturers will teach during the YMCA Inventor’s Workshop camp Aug. 2-7 for children ages 8 to 12. The campers’ inventions will be on display at an interactive mobile lab hosted by the manufacturers and Ohio H- Point during the Champaign County Fair Aug. 7-14.